Ergo... : I Can't Cook...So I Go to Free Williams Sonoma Demos! I Can't Cook...So I Go to Free Williams Sonoma Demos! Williams Sonoma + Free Demo + Ravioli Making Tips = Happy Chloe. 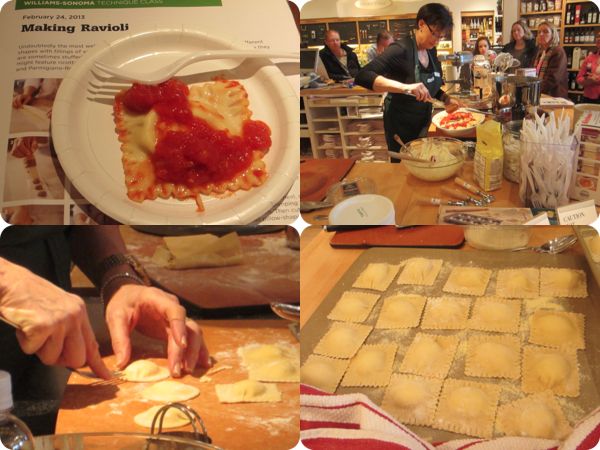 Yesterday I went to a FREE, yes emphasis on the word free, demo on how to make HOMEMADE RAVIOLIS at my local Williams Sonoma store. I used to go demos all the time years ago, but alas the store located in my mall closed. BUT!! I found another one even closer to my home and it was such a great little experience I had to write about it. Each Saturday or Sunday depending on state laws what's left of the Williams Sonoma stores hold demos about certain cooking techniques or recipes. They supply a handout with some recipes and for the next hour they demo the recipe with expert advice and tips. I personally had never made raviolis, only bought store bought, so I was very intrigued by this opportunity. However, rose colored glasses off, these lil things are a lot of work...but paired with homemade pasta (I've never tried that either) and some homemade sauce they were so delicious. I even asked for a second helping! The instructor demoed everything from the homemade pasta to making a quick sauce. 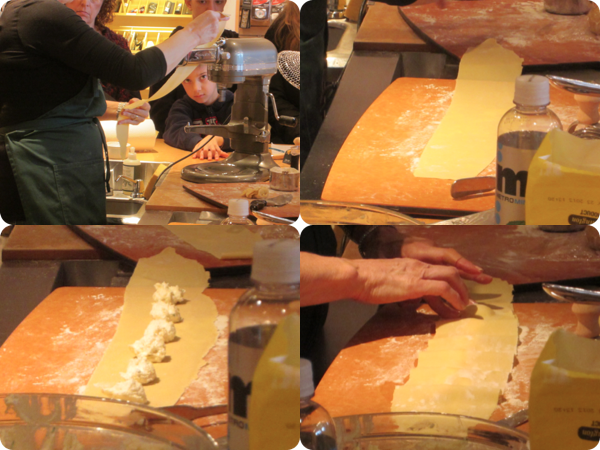 She showed us how to stretch out the fresh pasta with an attachment for the kitchenAid, which is now on my Christmas list! She made the ravioli filling and proceeded to create each mini piece. I wish I could go into detail but the recipe honestly states exactly what to do. 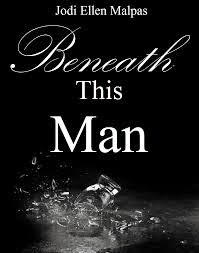 What I will share is the EXTRA TIPS & ADVICE the instructor cared to share! 1.) Use rich in flavor ingredients for the Ravioli Filling. It's a lot of work so make sure to taste the mixture (before adding an egg) to ensure great flavor! 2.) It is okay to add more cheese then the allotted recipe amount. If it tastes good, why not? 3.) If you are adding a "Meat or Seafood" filling, be sure to COOK IT FIRST before adding it as a filling. There is not enough time for the meat or seafood to cook, because the raviolis are done within minutes. 4.) 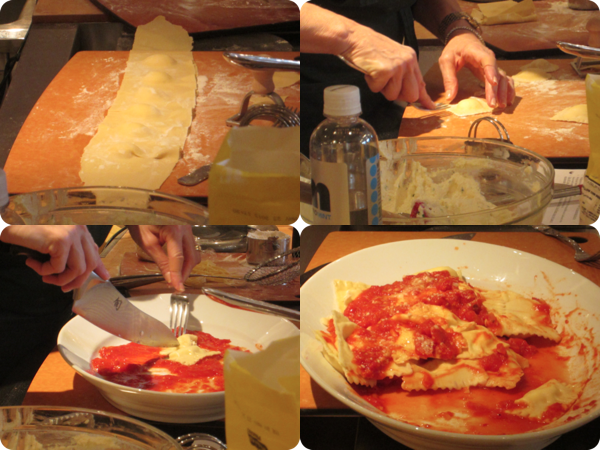 You can use a plain old biscuit cutter to cut around the raviolis or use a ravioli press to separate each ravioli. 5.) An Extra Step: After wetting the first layer of pasta with a little water around the filling, place the second fresh pasta sheet over the filling. She pushed gently around each filling with her fingers to ensure the two pasta sheets have molded together around the filling. It is important to try and eliminate extra air in the filling pocket. 6.) The instructor used a fork to press the edges of the closed ravioli - she said to make sure NOT TO PIERCE THE FILLED PART. It will destroy the ravioli. Have Any of You Ever Made Your Own Raviolis? Was it Fun or Too Much Work? *All photos in this post were taken by me. Thank you. YUMMY!!!! I ATE IT ALL! I think I'll have to check out one of these demos soon! 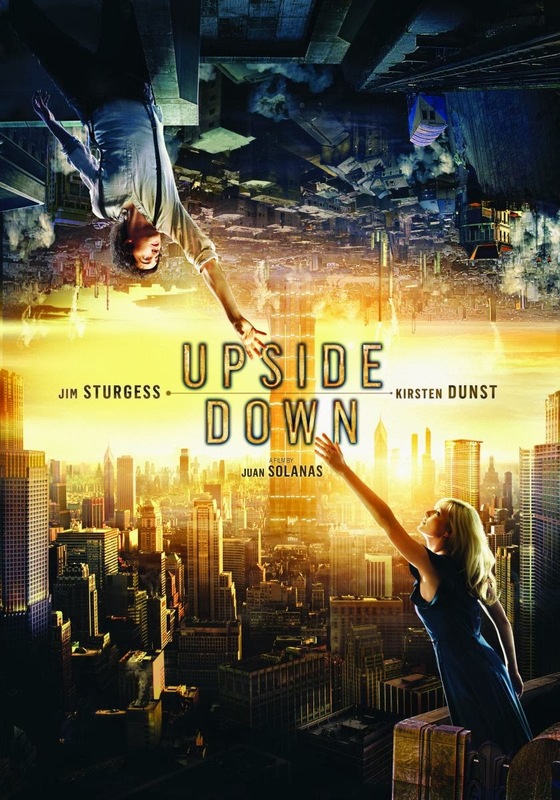 This does look fun. I have always wanted to try cooking lessons but they really don't have any in my neck of the woods. It does look delicious though!! Um, I'm so jealous right now. now this has made me hungry! something different today, yummy yay!!! great recipe. This all looks -so- good! I have to say that you're brilliant for utilizing the free cooking demos! You're a very smart young woman with some GREAT ideas on how to live well on a budget! Have you ever considered writing a book based on your tips? I think it would do quite well! i've made champaigne one's - YUMMO! - use Champs instead of water - INSANE! We had raviolis last night (pear and Gorgonzola, store bought!) last night and I was just thinking how fun it would be to try to make my own! These look so yummy, now I want to find a store to check out a demo! Hope you're having a great start to your week! Yum, I've never made homemade raviolis, but now I'm feeling really tempted! These look really delicious, and what an amazing idea to attend a demonstration to pick up a few recipes and tricks! I'm definitely going to give these a try! This looks delicious! Very easy to make as well. It is always always OK to add more cheese. Those look amazing. I love free demos. Williams Sonoma is amazing and is always worth a good look around. Man, I would love to go to that. I want to take a cooking course before I get married. I love ravioli but I've never myself or known anyone to make their own. Looks super tasty though! Your Buttons and Blogs! Let Me Know About You! Living Together + Making A Menu?!?!? It's a Snow Globe Over Here!! I'm a Reader...My Future Reading List.